The leapstart comes with a 12 page sampler book aimed at preschool age children. 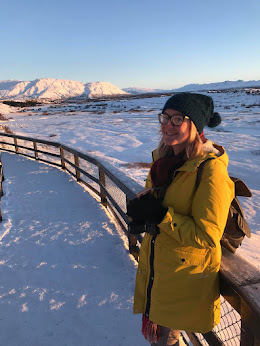 We were also sent a Primary School Level 4 STEM (Science, Technology, Engineering and Mathematics) with problem solving for Gracie to try out while Zach and Elsie could try the preschool book. You do need access to a laptop or PC and internet connection to be able to install audio content. You connect the Leapstart to your computer using the USB cable provided. Then sign up to a parent account and you can download the audio for any of the books you have for your Leapstart so that they are recognised by the system to help your child with the activities. It doesn't take long to complete this bit. I did it before giving the Leapstart to the kids so that they could use both books without me needing to mess around once they had started playing. All three of the kids have enjoyed all of the different activities. 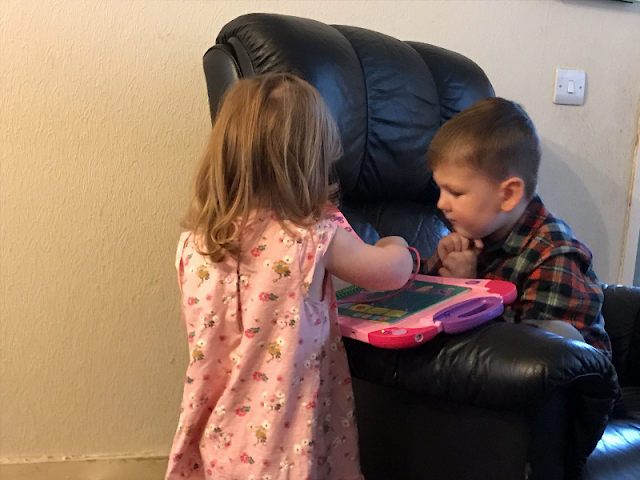 It has been nice for Zach and Elsie to have something to share that he can help teach her with as well as learning himself. 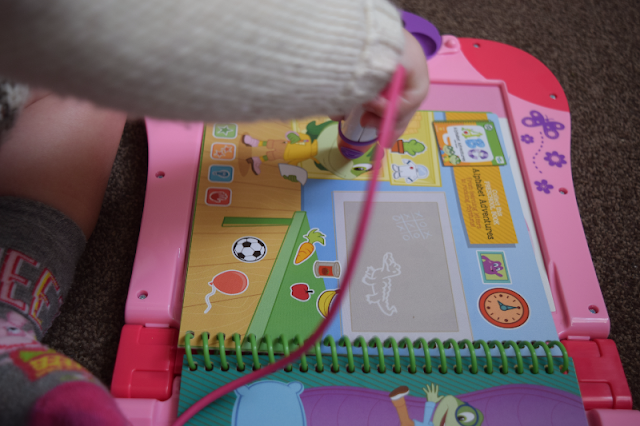 Gracie has been enjoying the STEM book trying out all the activities and has managed to do them all by herself thanks to the help from the audio which explained the activities to her. She found the lessons really interesting as they really made her think and she enjoys the science and technology side. I think it is great that the books are available to suit a range of ages and can be used to teach a few children at once. I love that Zach can practice his maths and Gracie can practice her science while Elsie can learn basic phonics which is much more suited to her. It is a great toy and is perfect for families with more than one child who want to find fun ways to encourage their children to learn new skills. 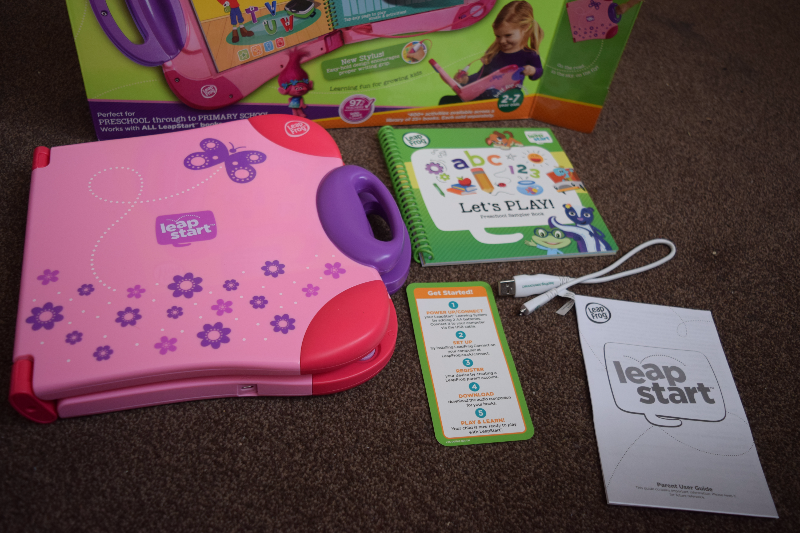 The Leappad Leapstart is available to buy at most large toy retailers and is also available on Amazon.